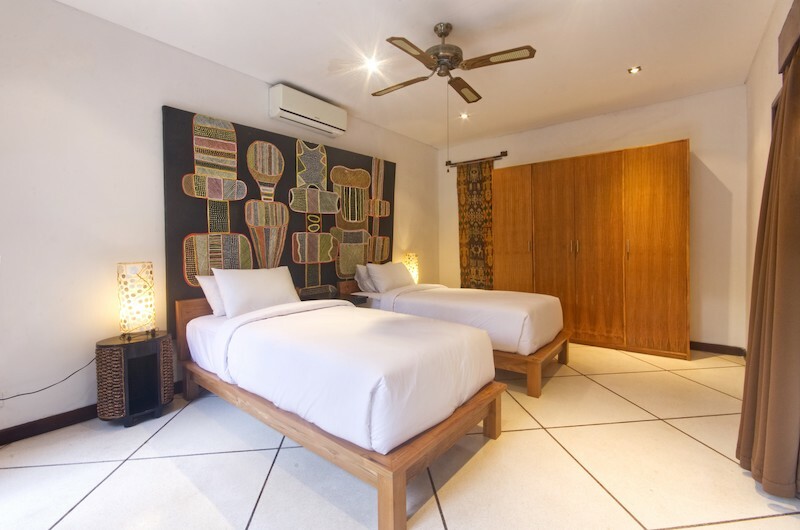 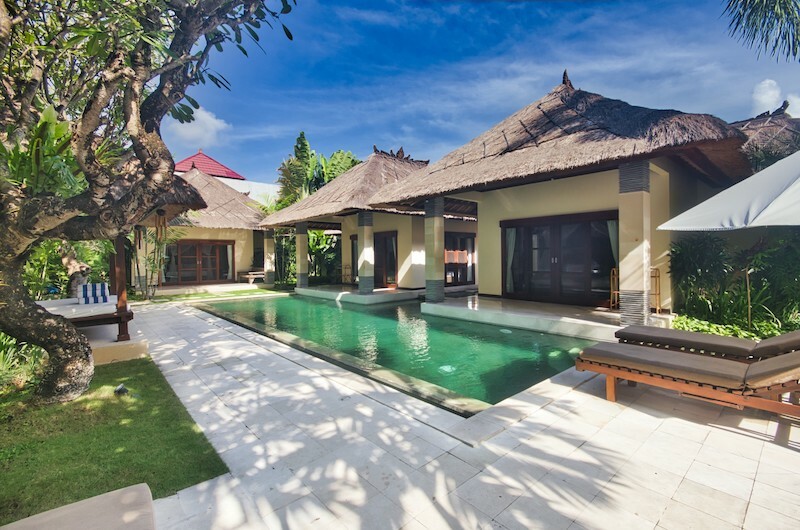 The Cinta is your tropical getaway, close to the entertainment and amenities of Seminyak, but a million miles from care. 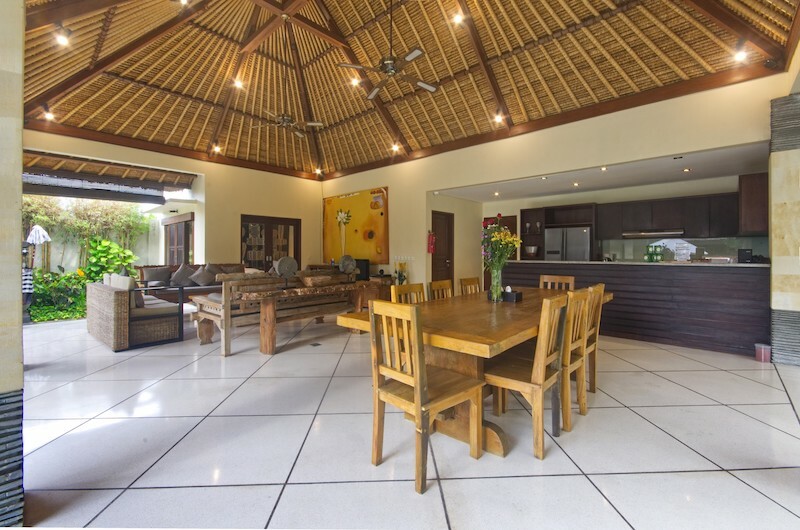 This modern, impeccable 3 bedroom villa is ideal for 6 people. 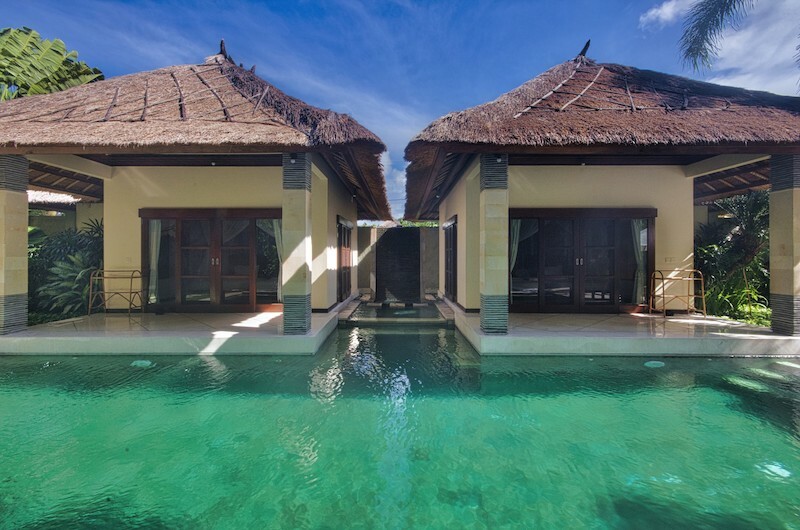 The villa’s different buildings all face on to your private pool. 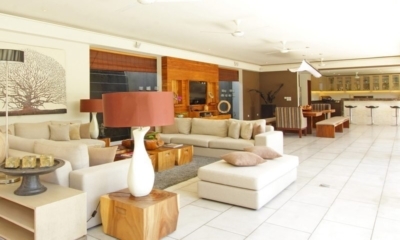 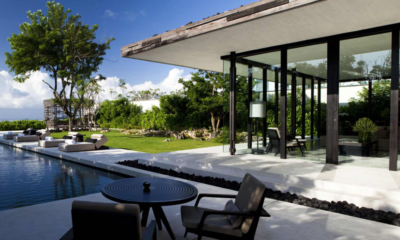 The open plan living and dining area open onto manicured lawns, tropical gardens and the pool deck. 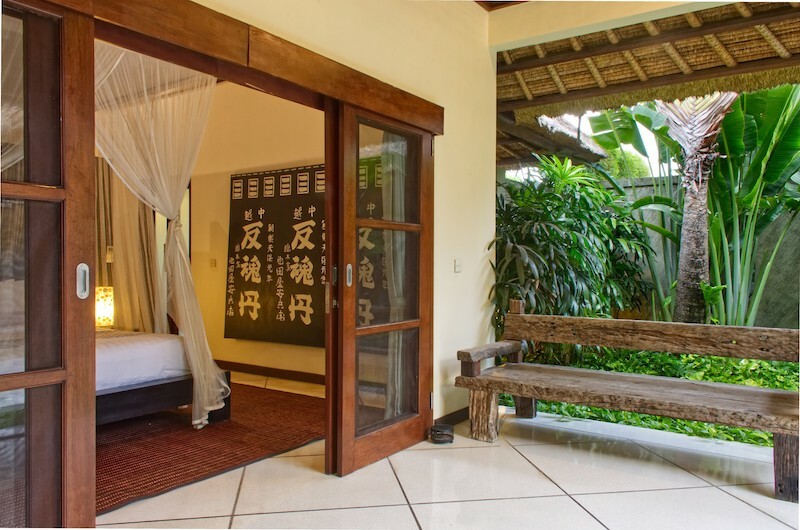 Walk to the other end of the private pool and enter the luxurious master bedroom guesthouse, with its en-suite bathroom. 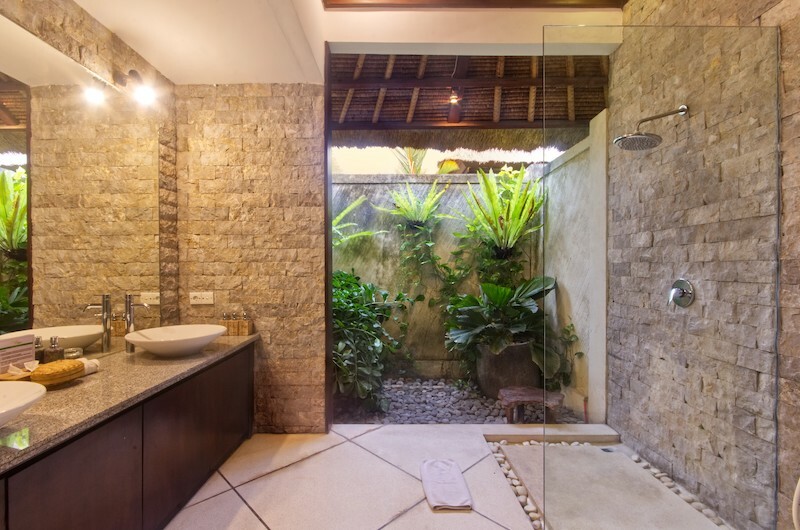 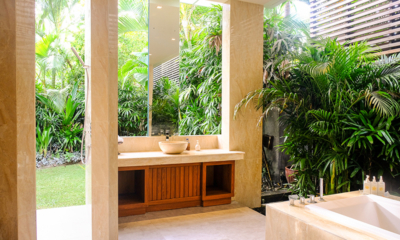 Have a long soak in the tub, or enjoy the open air shower. 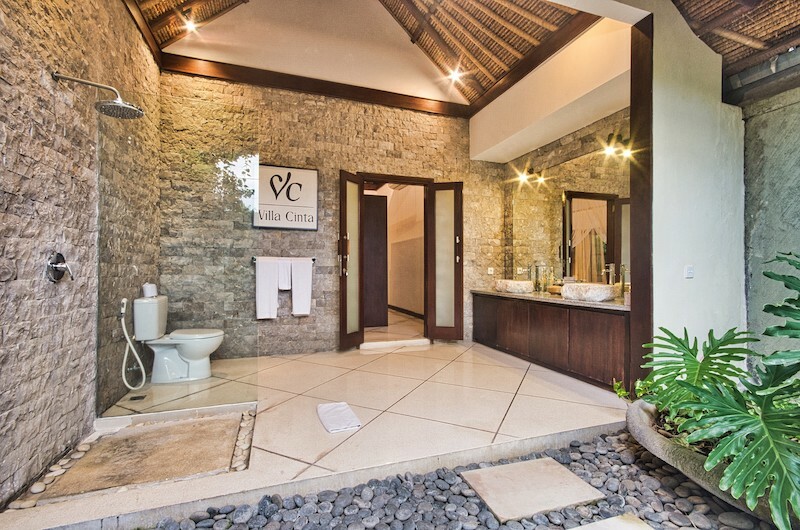 There are two guest pavilions – each with ensuite bathroom. 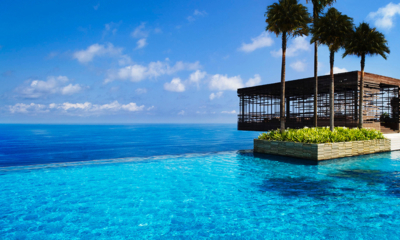 Step out onto the terrace and you’re at the pool. 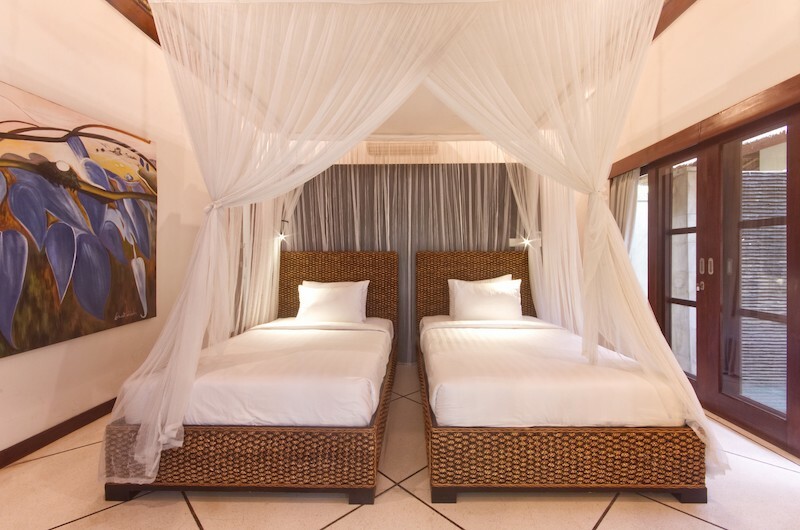 When you’re ready to relax or entertain, chill with friends on the pool deck, watch TV in the entertainment room, or relax with drinks in the pool-side gazebo. 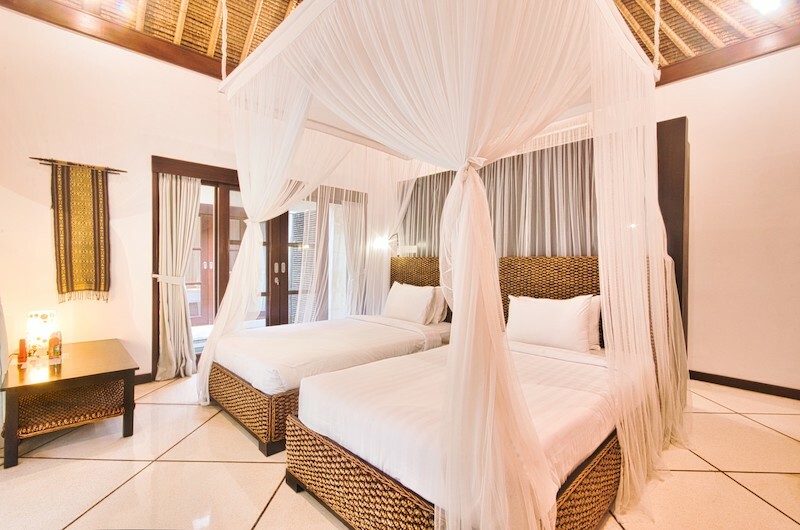 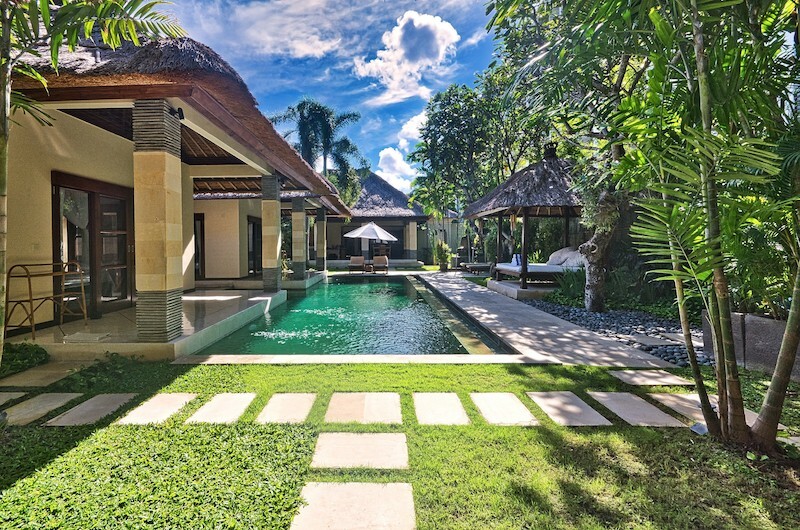 Villa Cinta is modelled on a traditional Balinese compound and features delightful Balinese design elements, including glorious thatched roofs, providing a luxurious haven for your tropical holiday. 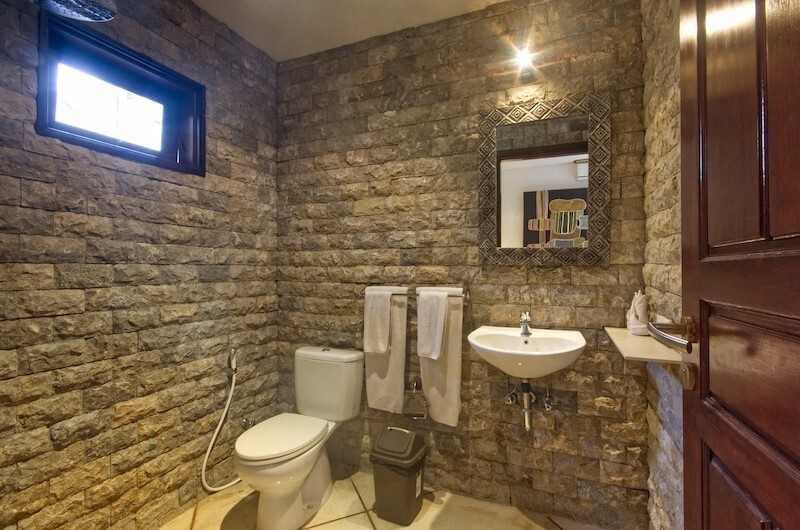 Cheap, cheap, cheap! 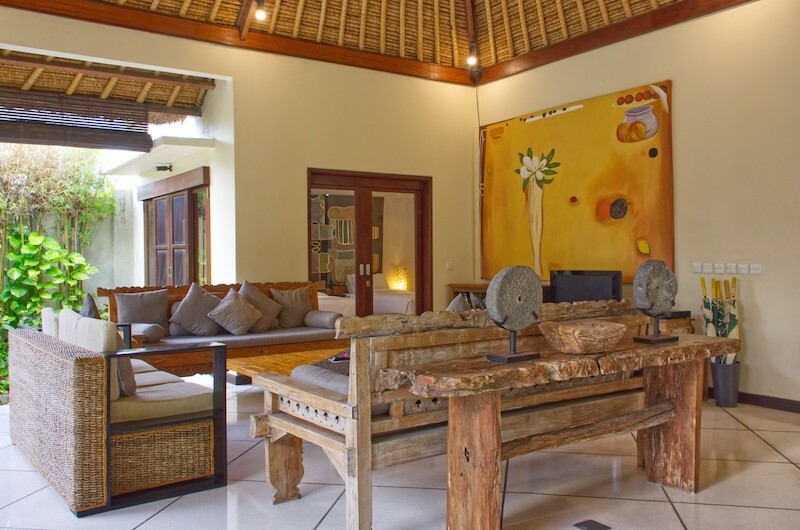 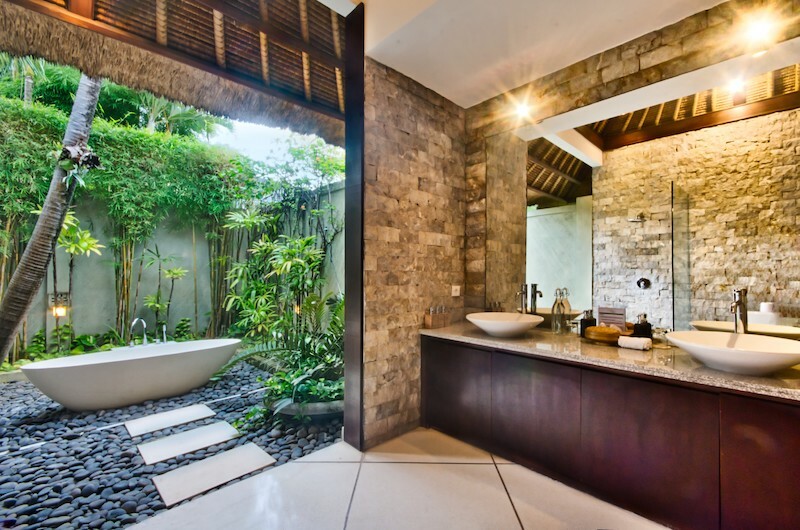 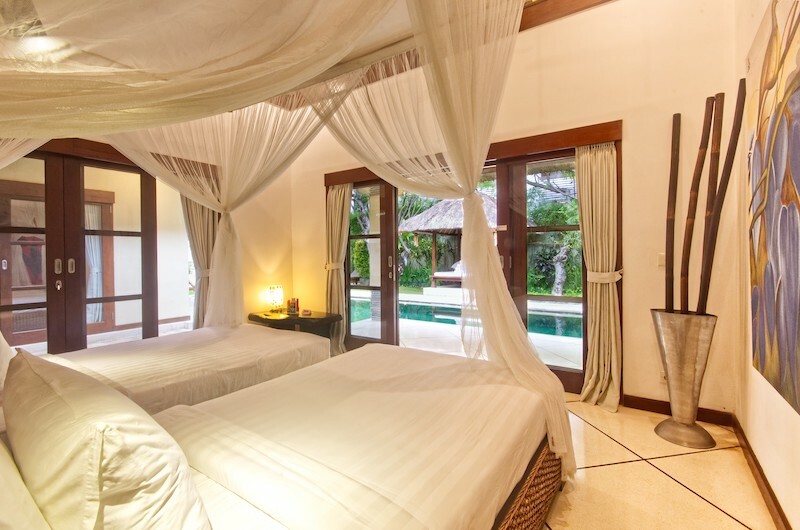 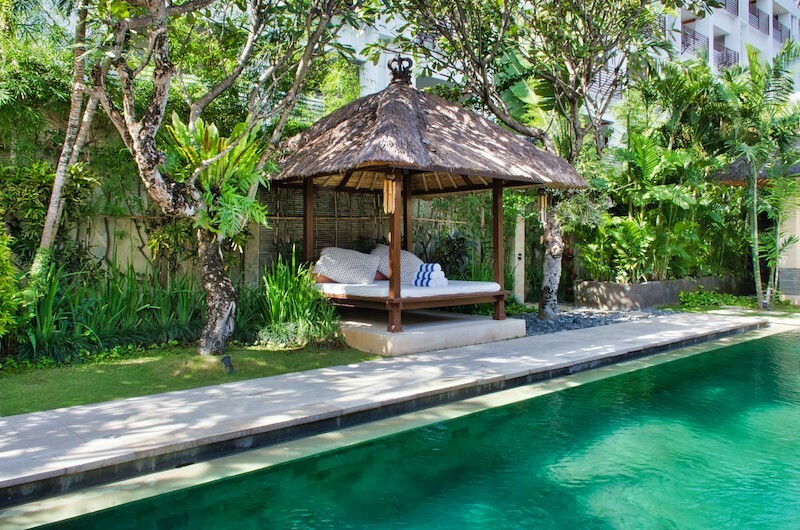 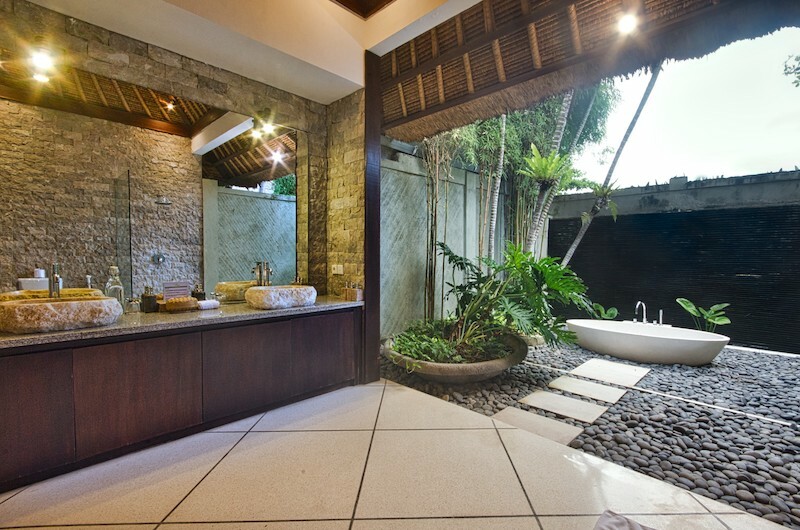 Great villa in Seminyak for those wanting to save a few dollars!